Another Thursday means another TBT.. or throwback thursday for those of you not down with “it”! Yes, throwback thursday gives us the chance to have a good laugh at the fashions we once used to wear with pride back in the day and this week is no exception. 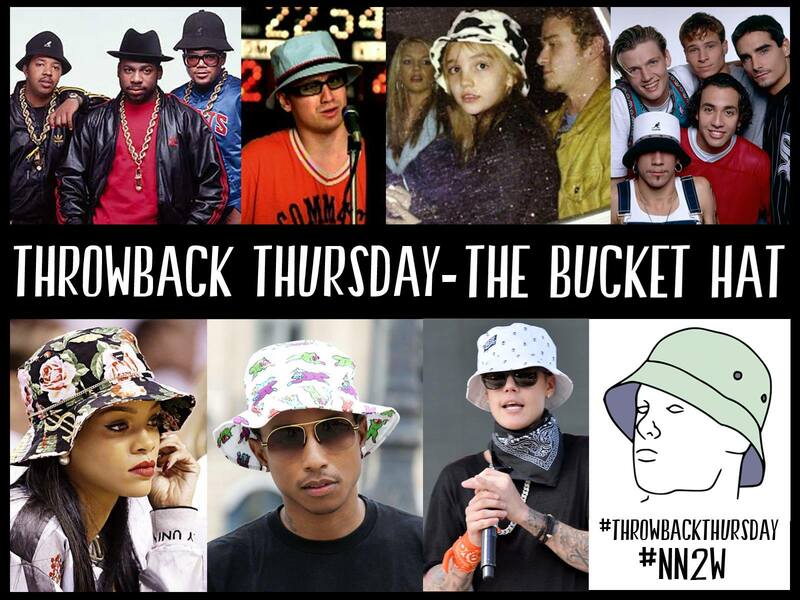 The bucket hat has always been seen as the ugly cousin of the renowned trilby hat. However trilby’s are on their way out.. and what’s coming in? Yup you guessed it! The bucket hat. the days of the bucket hat being worn by wildlife fanatics and happy campers are dead and gone..Now they are being worn by some of the world’s biggest stars and it’s an easy enough trend for the rest of us to try too! Rihanna has been seen with bucket hats left right and center. In an array of colours and patterns.. this girl has it all. She’s even (somehow) made them look weirdly glamorous. We here at NN2W love a good celebrity inspired outfit, so we’ve paired some of our pieces with the ever so current bucket hat to show you how we would style them! For the men out there- Create a look that has a good balance between casual and formal. By doing this you make the hat look less fisherman chic and more fashion forward. 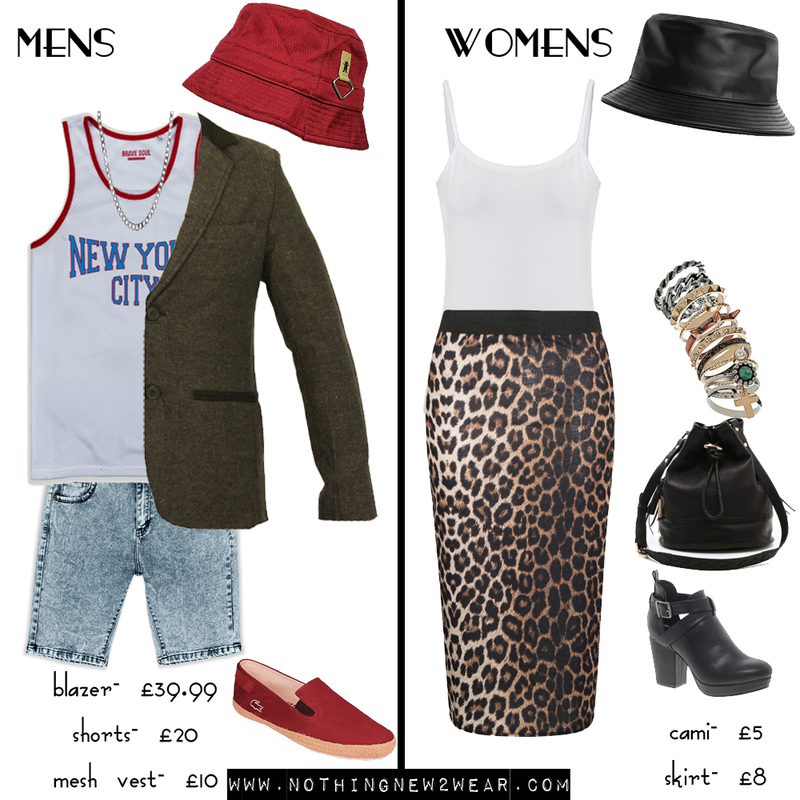 We decided to pair the bucket hat with our skinny fit acid wash shorts, a mesh vest and a statement tweed jacket. For the ladies- This hat works well with a casual denim look but if you want to glam it up like Rihanna, then we would pair it with our bodycon leopard print midi and a plain white vest. With a simple outfit like this you can afford to accessorize.. so add as much or as little as you feel necessary! Who run the world giiiiiiirls! Beyonce is known for her killer style and if she’s your ultimate fashion icon than look no further than this post. Let’s be honest though, who wouldn’t want to look like Beyonce for a day? This canary yellow and black bodycon dress will have you feeling like the Queen Bee herself! Available on our web store for just £15.